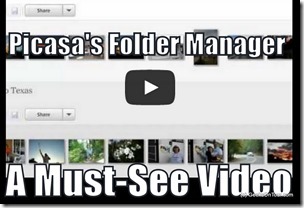 Organizing – Learn Picasa and Google Photos! Picasa is Dead. Long Live Picasa! Google made it official with an announcement on February 12, 2016: Moving on from Picasa. They are retiring Picasa and devoting all their efforts to one photo product: Google Photos. This affects both the desktop software, Picasa3, and the web service, Picasa Web Albums. If you use either the desktop software, or the website, this announcement affects you. Picasa Web Albums: you’ll need to switch to Google Photos instead of Picasa Web Albums, no transfer of pictures necessary. For the long answer, keep reading. We hosted a Live Panel Discussion on the Picasa Announcement on our weekly web show, What Does This Button Do? Watch the YouTube recording at this link. Keep using it! Long Live Picasa! Although this product will not receive further updates, either bug fixes or enhancements, it is software that you download to your computer’s hard drive. If you have it, you can keep using it. Nothing will change. It will not self destruct. Your pictures will still be right where you put them, on your hard drive. If you get a new computer, you will need the Picasa software setup file. Picasa3 is software that used to be freely downloaded from the web page Picasa.Google.com. That was removed on March 15. After that, you can download the Picasa installation files from Filehippo.com, or, here is our Picasa Download for Geeks on Tour Members. 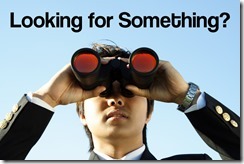 Further information is available on the Picasa Resources page maintained by the Google Picasa Forum Top Contributors. 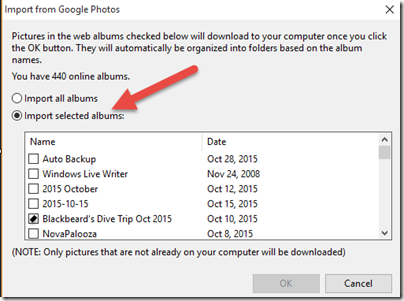 Google Photos replacing Picasa3? No – Google Photos will not, nay, CAN NOT replace Picasa3 Desktop software. Google Photos is not an option for working with pictures on your hard drive. The pictures must be uploaded to the Web (Photos.Google.com) before you can do anything with them using Google Photos. If you have a good Internet connection, you may find that you enjoy working with them on the web and you can stop keeping copies on your computer (except for archival purposes.) When that day comes for you, Google Photos can replace Picasa, but not before. Using Outdated software? Most of us have outdated software that we still use. I use Photo Story 3 even though it is a software product that has not been officially supported since Windows XP! It still does what I want it to do, so why not? I would not continue to use the operating system of Windows XP because that is a security and computer performance issue, nor do I advise using the outdated navigation system of Streets and Trips because updates are important when roads change. PIcasa3 is software that is meant to do a job with pictures on your computer hard drive. It will continue to do that job even after it is “retired”, so you can continue to use it. As long as these features are working for you, you can use them. I expect that they will develop problems over time because the Web side of the equation will change, and Google will not fix those problems on this retired software. You will need to perform those tasks with other methods. For example, to upload to Google Photos you would use Google Photos; to Email pictures you would use your email program. I have also been hearing of some problems with importing pictures using Picasa’s tools. I recommend importing with standard Windows or Mac tools. Playing Slideshow (only available on Android version) Update 6/17/16 slideshow now available on Web version. Display all public albums with one URL web address – there is no “Public” designation anymore, therefore no way to view all Public albums. I wish that Google had decided to keep Picasa3 Desktop software in a maintenance mode. They haven’t updated it in any significant way for the past 4 years, why not keep it going for another 1 or 2 years? In that time Google Photos would become more mature, and people would be more accustomed to working with their pictures on the web rather than on their computer. I wish that Google had decided to maintain the Picasa Web Albums website for another year while they added some of the missing features to the Google Photos interface. Google Photos is still so new. People need more time to accept change, and they will be more willing when Google Photos has more features. Guess what? Google didn’t ask me before they did this! And, I’m sure that there are a lot more factors that Google has to consider. The underlying technology is changing all the time, and Google stays on top of that. In fact, Google is often inventing the new technology, and they can’t move as fast as they need to when they are shackled by maintaining legacy connections. Google also has plenty of business considerations. They recently reorganized the whole company under the Alphabet name. I’m sure that has a lot of repercussions. 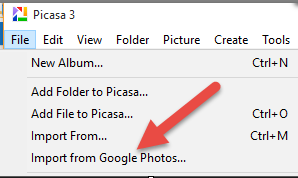 If you also wish that they would not retire Picasa now, you can add your voice by visiting Photos.Google.com, clicking on the 3-bar menu and then Send Feedback. Who knows, enough voices can make a difference! At least add a vote for your important features to be added to Google Photos. Mine are 1: captions that stay with pictures when downloaded, 2:watermarks on shared photos 3:Display all public albums with one URL web address. I intend to embrace Google Photos completely. I love how it effortlessly it collects ALL the photos of my life, and gives me fun ways to display and share them. I trust Google with my pictures. I have nearly 50,000 pictures stored online in my Google Account and there is no charge for that (I’m fine with the less-than-original file size required.) Google Photos offers unlimited storage for free. I started uploading my pictures to Google around 2005 with Picasa Web Albums, and, as far as I can tell, they are all still there. But, for local backup, I have also used the Google Takeout service to download a copy of all my Google Photos to an external hard drive for safe keeping. I will also continue to use Picasa3 on my computer as long as I have pictures on my hard drive. The more I use Google Photos however, the less I am keeping photos on my hard drive. I am downloading just specific ones, when there is something I want that only Picasa3 can do, like add Watermarks, other text on pictures, real captions, or fancy collages. Windows Photo Gallery: This is probably the software that most closely resembles Picasa3 desktop software. It is free from Microsoft. It works with the photos on your computer’s hard drive. It can upload photos and share them on OneDrive, Flickr, Facebook, YouTube. Downside: this software hasn’t been upgraded since 2012 – it could also get ‘retired.’ It has some great photo features like Photo Fuse, but it is missing two important ones: Text on photos, Collages. Adobe Photoshop Elements 14: This is not a free program. The cost is $99, currently on sale for $69. The latest version is 14. This is desktop software. It can share with Facebook, YouTube, Vimeo and Twitter. Expect a relatively steep learning curve, but you will be rewarded with powerful features. Windows 10 Photos: This is the photo management program that comes with Windows 10. It has basic editing, and it shares online automatically using Microsoft OneDrive. It can also share with Facebook and Twitter. 15 GB of free storage, 50GB for $1.99/mo or 1TB free with Office 365. Apple Photos: Desktop software for Macs and App for iPhone/iPad. Shares with iCloud Photo Library. 5GB of free storage space, then plans up to 1TB. Dropbox.com: Not a photo program, it is Cloud storage that could take the place of Picasa Web Albums. It can combine nicely with Picasa3 on the Desktop to provide web storage and sharing of photos with a smooth integration with the desktop. Just point Picasa’s File Manager to your Dropbox folder on your hard drive and you have synchronization! 2GB of free storage space, then $9.99/mo for 1TB. Flickr.com: Owned by Yahoo. The granddaddy of Photo Sharing websites. No desktop software, but powerful web storage and sharing. 1TB of free storage space. Amazon Prime Photos: Using Amazon Cloud Drive, Prime members get unlimited photos storage for free. 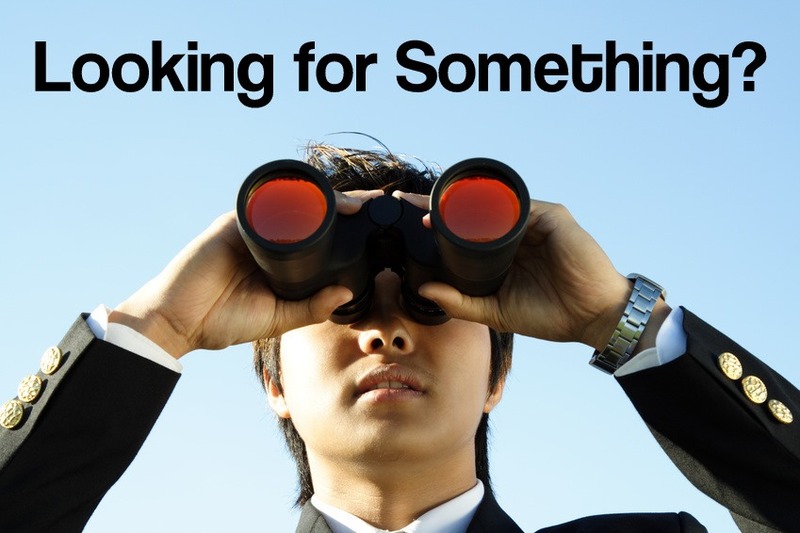 Facebook Photos: We use Facebook so much, we forget that it is storing our photos! Microsoft OneDrive: As mentioned above the Windows Photos app uses OneDrive for storing photos online. You can use it directly without the Photos app as well. The online interface has nice photo management features like tags, albums, and slideshows, but no editing. 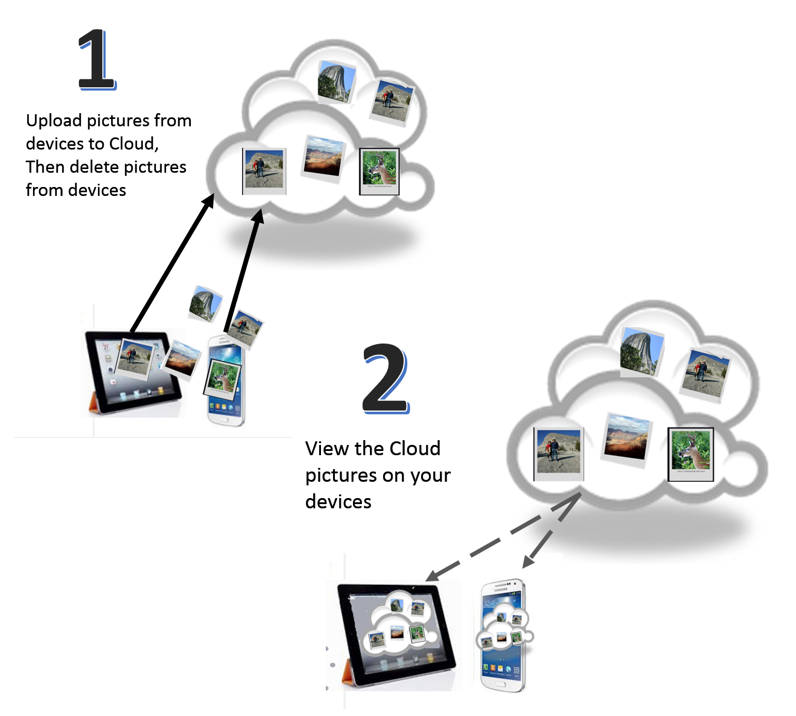 Apple’s iCloud Photo Library will store your photos, but only for Apple devices. For more information, please watch our video above with the panel of experts. Also, the Top Contributors for the Picasa User Forum have put together a very detailed page of information about the Picasa Retirement and what it means to you. What questions do you have? Please leave a comment below. It’s easy to get your pictures UPloaded to the cloud – just turn on the Backup and Sync feature of the Google Photos app on your phone. But how do you get them down to your computer? I still want my pictures, at least my best ones, to be stored on my computer (or external hard drive.) I’m not comfortable with my only copy of pictures being the cloud copy. 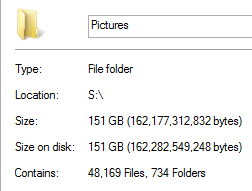 For the last 12 years my process has been to collect all pictures from my camera(s) and put them on my computer. Then to upload just the best ones to the cloud and share them. Now, because of Google Photos, my process is being reversed! Google Photos is automatically uploading all my photos to the cloud and I want the best ones copied down to my computer. 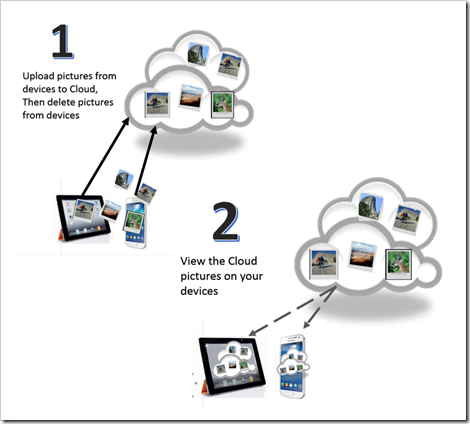 I have identified 4 methods for downloading my pictures from the cloud (Google Photos) to my computer. Right now I like method 3 the best, but one of the other methods might suit your needs. Please leave a comment for what you think. If you’ve used the Google Photos tools to put your best pictures into albums, you can then download those Albums to your computer. This will create a .zip file of all the pictures in the album and, depending on your browser’s settings, it will ask you where you want to save the zip file, or it will automatically save it in your Downloads folder. You can even save that .zip file straight to your external hard drive if you’d like. If your purpose for downloading is simply a backup, you’re done. If you want to see those pictures using Picasa, you need to Extract the picture files from the .zip and save them in the My Pictures folder, where Picasa will see them. If you haven’t created albums, you can simply select a group of photos (click on the checkbox in the upper left corner of each photo.) Then click the 3-dot menu and choose download. This will create a .zip file just like in the method 1. When I see a ‘keeper’ I click the 3-dot menu in the upper right and choose Download. On my system, I am now prompted for a location for the downloaded file. I navigate to my Pictures\yyyymm folder. If your browser doesn’t prompt you for the location it is probably automatically downloading your picture to your Downloads folder. You need to change the Browser’s (Chrome) settings so that it asks you for a location for each download. 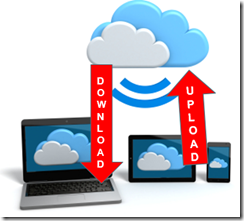 Here is a help article on how to change download settings. Repeat #2 for each ‘keeper’ as I browse thru my pictures. This is a bit cumbersome, but I find it the best of my available options. I regularly browse thru my recently added Google Photos anyway. Just be sure to do it from the computer and download the ones I like best. Not too bad. If you have made albums using Google Photos, you can use Picasa on your computer to download those albums. It only downloads pictures not already on your computer. If you have already used any other method to get some, or all of the pictures, then the imported album will be incomplete. 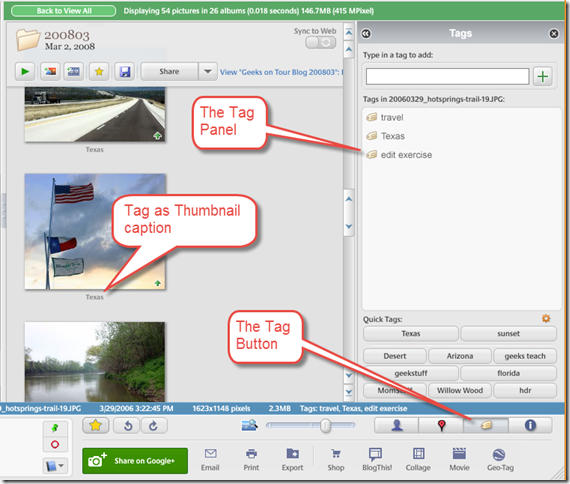 Captions: When I add a caption using Picasa, that caption is part of the metadata of the picture. When I upload that picture to Google Photos, the caption becomes the Description. This doesn’t work the other way around: when I add a description in Google Photos and then download the picture, the description is lost, there is no caption. Watermarks: Picasa has an option to add a watermark to all uploaded photos automatically, so I can add © GeeksOnTour.com to every picture. Public Albums: My purpose to creating albums is to share those pictures. When I use Picasa to upload an album, I have the option to make that album Public. There is no such option with Google Photos (yet.) When I have a library of public albums, I can still use my Picasa Web Albums link (picasaweb.google.com/chrisguld) to let people see ALL my shared photos. There is one drawback to using Picasa to upload – it does not (yet) support the new “High Quality” file size. To keep your unlimited free storage, you must select the size called “Best for Sharing” which shrinks your photo to 2048 pixels on the longest side. For me, this is not a problem. 2048 pixels is plenty big enough to view the picture online and that is my purpose. Please leave a comment to let me know which method you prefer, or any questions you have. Forget to Set the Time on your Camera? Picasa can Fix That! We took a trip to England a couple of months ago and I took lots of pictures, some with my Canon digital SLR and others with my Samsung Galaxy S5 phone. The phone is always set to the right time, because it is location aware. It knew we were in a different time zone than what we left and it’s time was correct. The Canon on the other hand was still set to US Eastern time zone (5 hours earlier) and I didn’t think about that until nearly a week had passed. When I did think of it, (thank you Phil for reminding me! ), I changed the time settings in my camera so it was correct. When I look at my pictures, I want to see all of them – phone and camera pictures – in sequence. 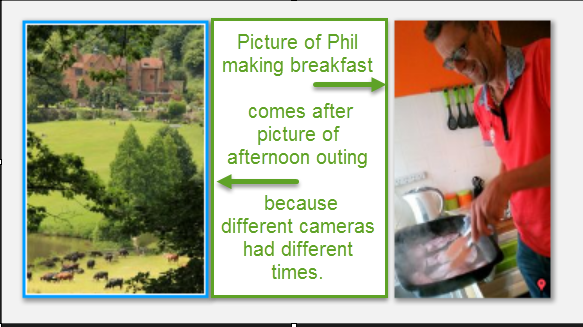 But, for those first few days, a picture taken during the afternoon with the camera would come before a picture taken at breakfast with the phone. See my problem? The camera photos were 5 hours earlier than the phone pictures taken at the same time. 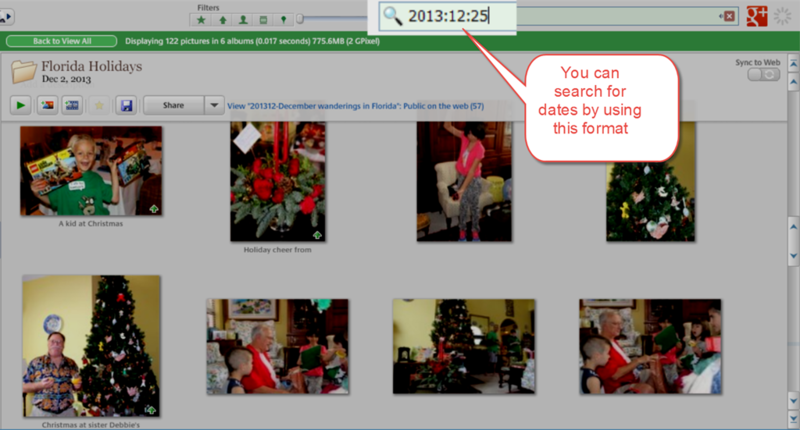 There are many places where you can sort pictures by date, so it would help if that ‘photo taken’ date was correct. Picasa can do that for you! Picasa has a feature on the Tools menu called Adjust Date and Time. I use it all the time to change the date of scanned photos. I may snap a picture of an old family photo from the 1960s, but the picture will use the current date for it’s date taken because, well, that’s when I snapped the current picture! I can use Tools->Adjust Date and Time to set the date taken to something in the 1960s! See this past article on Scanning and Organizing Old Photos. We even use this technique for scanning slides. Today I discovered that Picasa’s Adjust Date and Time feature can even compensate for my time zone faux pas. Tools->Adjust Date and Time and add 5 hours (or whatever you need) to the New photo date. Be sure to check “Adjust all photo dates by the amount” and click OK.
Notice that I am adjusting the time for 404 pictures! Now, you may wonder if even the new time is correct because it seems to be saying that we’re out sightseeing at 5 o’clock in the morning! Well, I learned another thing here. Time is actually recorded relative to GMT time, so the time displayed always takes into account the time zone on the computer you are viewing with. Tags are the keywords that you can attach to pictures. They are not meant to be visible. They are meant to give you multiple ways to find and group pictures. In our 11 years of RV Travel in the United States, we have been in Texas several times. I store my pictures by month, so I have Texas pictures from April, 2015, we’re in Texas right now , and I also have Texas pictures from March, 2006 and November, 2005 and March 2008, etc. etc. I try to add a tag for Texas to all the best pictures that I took while in Texas. To add a tag, you just select the picture(s) and then click the Tag button, type the tag and click the green +. That way, any time I want, I can view all our pictures from Texas, regardless of their folder location on my computer. 1. If you just want to see what tags have been applied to any given picture, the easiest way is to set your thumbnail caption to show tags. 3. If you want to see your complete list of all tags you’ve ever used – you’re out of luck. Picasa doesn’t have a way to manage the list of tags. I wish they did! I do have a workaround though. You need to be able to select ALL your pictures so they are one group, then you can see the tags for the group like in #2 above. Open the Tag Panel by clicking on the Tag button and you should now be seeing all tags applied. Unfortunately, you’ll notice that they are not sorted Alphabetically, they are sorted by popularity. You may know that you can sort your pictures by date using Picasa’s Sort Order tools, but did you know that you can find pictures with a certain date? Let’s say you wanted to see what pictures you took on Christmas Day last year. Just search for 2013:12:25 and make sure to include the colons. Behind the scenes, Picasa is indexing the picture dates in the format yyyy:mm:dd. So, if you make sure to use that same format in your search, you can search for pictures in any given year, month, or day. Many of us are using smartphones and tablets as our primary cameras these days. And, many of you may not even have a computer – finding that the smartphones and tablets meet all your computing needs. But what to do with all those pictures? I know that a lot of you just keep taking pictures until one day, your phone displays a message that it is full and it can’t take any more. Now what? Even if you do have a computer, you may find that storing your pictures in the cloud is more convenient. If you don’t have a computer, it’s the only way to get them off your phone and into more permanent storage. Don’t get me wrong. I do have a computer, and I love Picasa – the computer software. I will keep importing the pictures from my phone and tablet to my computer, and using Picasa for organizing, editing, and uploading/sharing them. I just want to recognize that there is another way to do things now, and one future day, it may be the only way. The easiest way to do this with Google+ is to install the Google+ App on your phone or tablet, then turn on the option called “Auto Backup.” I wish they had named it “Auto-Upload” instead of Auto Backup because something called “Backup” implies that there is a way to “Restore” your system to how it was when you backed it up. That is not what this does. What Auto Backup does is to notice every photo taken by the camera app on your device (smartphone or tablet, Android or Apple) and automatically upload it to your account in Google+. After installing the app, find the Settings option and turn Auto Backup on. Then there are options for the size of the uploaded photos and the connection used to upload them. Delete the photos from your phone or tablet. This is a decision for you to make, but realize if you never delete pictures that you take with your phone or tablet, it will fill up. The Google+ App on your phone or tablet will allow you to view all the photos that were uploaded to your account. You can also select pictures to be organized into Albums, so you can then browse pictures by album. As long as you have a data connection on your phone or tablet, you can view all your photos online – no need to have them on your phone. 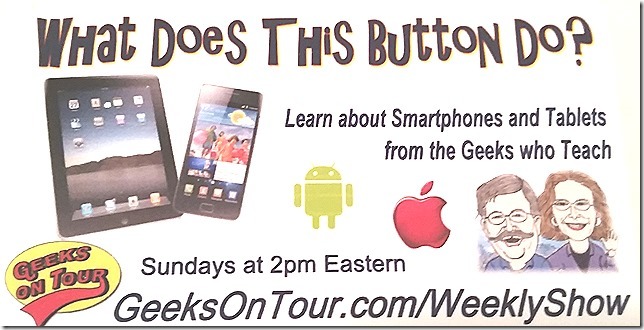 Every week Geeks on Tour presents a free web-show where we explore features and uses of smartphones and Tablets. Episode #19 will focus on your pictures in the cloud. It will air live this Sunday, November 9 at 2pm Eastern time. If you watch it live, you will be able to leave comments that we will answer on air. If you don’t watch it live, it is recorded as a Youtube video and will be available below. To get the links for watching live or later, see our Geeks on Tour Weekly Show page. The other day, I was helping a friend look at some pictures which were sent to her via email. First I showed her how to get them from her email program to her computer’s filing system. I told her to just right-click and download the pictures, then navigate to the C:My Pictures folder and make a new folder there to store them. She told me no, she was now keeping all pictures in the C:OneDrive\Pictures folder because she likes how OneDrive backs everything up to the Cloud. OK, Fine. The pictures she received in an email are now in her C:OneDrive\Pictures\MountainPics folder. The best way to view pictures is by using Picasa … DUH! So we opened Picasa, but those new MountainPIcs weren’t there. In fact, none of her recent pictures – stored in the C:OneDrive\Pictures folder were there. This made perfect sense to me because I understand Picasa’s Folder Manager. We just had to tell Picasa about this new location for photos. Now we see the mountain pics, and all other picturess in the C:OneDrive\Pictures folder. To learn everything there is to know about Picasa, become a member of Geeks On Tour and watch nearly 10 hours of tutorial videos on Picasa alone! I’ve been taking digital photos since 1998, and I’ve scanned many old family photos from before that. It’s over 50,000 pictures total. That’s nearly 200 GB of storage space needed. 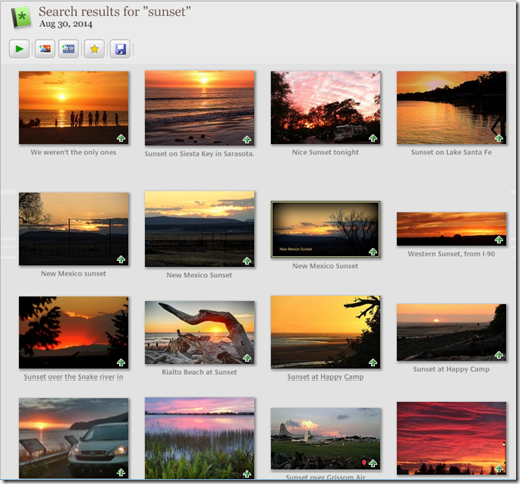 I like having all of my pictures available for searching with Picasa. 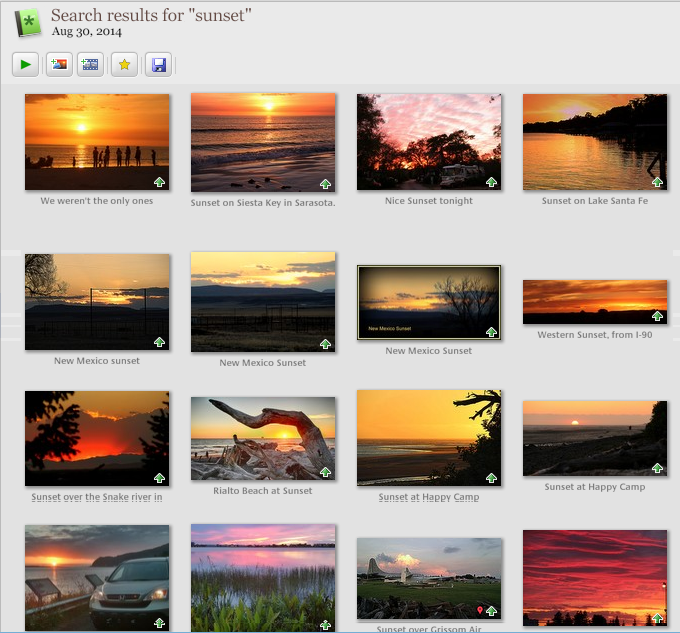 When I ask Picasa to look for “sunset” I see 234 pictures in the results. The most recent picture is from last week, and the oldest picture is from April 2001. And, I got those results in a fraction of a second! Does that mean that all my pictures are on my computer’s internal hard drive? Most of them are on a USB external hard drive. My new laptop computer is a Lenovo Yoga 2 Pro. It’s sleek and it’s fast, it uses a solid state hard drive, you may have seen it designated as SSD. That means the hard drive is more like a flash drive than a traditional computer hard drive. That keeps it light and very fast. BUT, it’s small. Where computer hard drives were getting up to a standard size of 400 GB or more, my computer’s hard drive is only 220 GB. If I put all my pictures on it, I wouldn’t have room for anything else. Here’s how I do it. I only keep the last year’s worth of pictures on my computer. 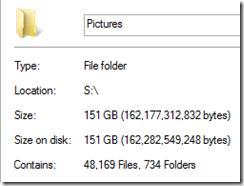 Over 48,000 of my pictures, are on a 500 GB USB External hard drive. Then I use Picasa’s Folder manager to watch them there. (see Tutorial Video: Folder Manager #233) Think of it like Picasa is ‘spanning’ your computer and the attached USB drive to give you your complete photo library. At the end of each year, I move each folder of pictures from the computer to the External hard drive. You simply right-click on the folder using Picasa, and choose “Move Folder …” When prompted where to move it to I navigate to my hard drive and the Pictures folder. There is one issue with this process and that is when you unplug, and re-plug in your USB hard drive. When you unplug the drive, Picasa can’t see the pictures. No problem, they just disappear from your library. When you plug the USB drive back in, you want them to instantly re-appear. That is exactly what will happen, IF the USB drive has the same drive letter as the last time it was plugged in. This may or may not be the case depending on what other drives you have connected. If it has a different drive letter than the last time, Picasa thinks it’s a different drive, and it will re-scan it, taking lots of time. The way to be sure that it has the same drive letter is to use your Windows Drive Manager to assign a permanent letter, like P – for Picasa! Here’s a video that shows you how.